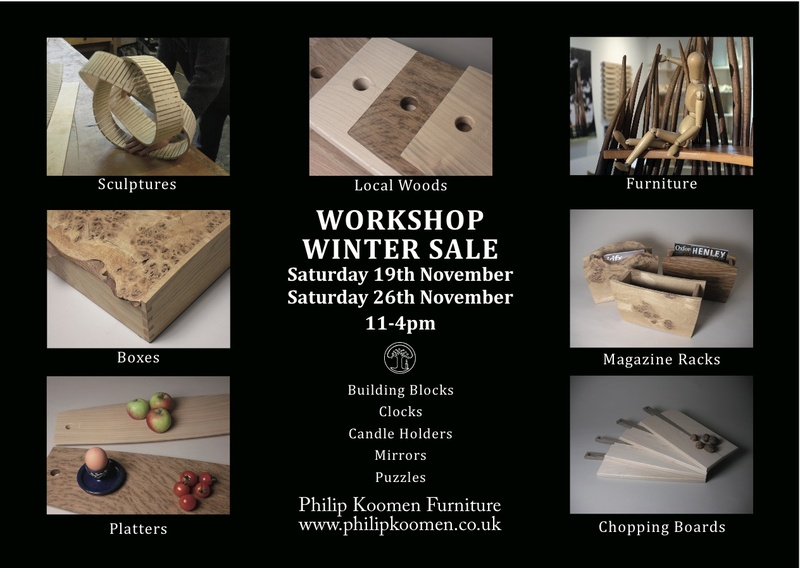 Please join us for some mince pies and a delicious, hot spicy berry drink this Saturday, 26 November and see what affordable goodies we have managed to create. Recently I finished two commissions based on sculptural forms. A fire screen that takes the form of tongues of flames, carved out of solid oak. 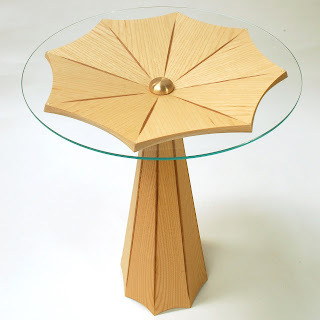 The idea was inspired by the client seeing a detail of an image of one of my Pondlife tables on my website. The form of the flames is therefore derivative of the pondlife reeds but has evolved to mirror the dynamic movement of a fire. Function and form come together in an inspiring way. A second commission, a wall relief, is based on one of my Ideas in the Making experiments, which was part of a series of works created through my Arts Council funded research. 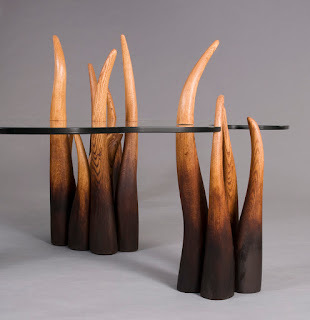 The relief is derived from experiments involving the cutting of narrow strips of ash wood into male/female parts, following a single prescribed contour and then offsetting the matching separate parts into a new configuration. The elaborate relief is therefore derived from a single contour line; this is one of a series of reliefs and forms that explore the nature of revealing “hidden” form. My colleague James Willis and I were amongst a handful of professional designer-makers judging the annual Hellen Award for the Best in Show at this year’s Rycotewood Graduation Show. For many years this Award has been kindly donated by one of my clients in memory of his wife, Hellen. The Award went to Justin Parker for his elegant console table. Justin is a first-year Foundation Degree student, moving into his second year, so he’s one to watch! 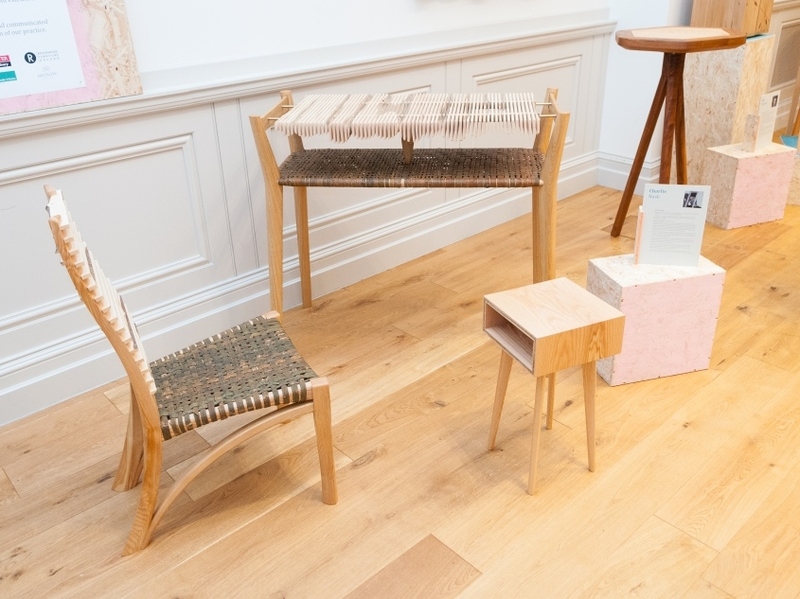 A special Innovation Award was given to Charlie Nash, a third-year BA Honours student, for his chair and console table that combined English ash, coppice, hazel and willow bark. Charlie had researched how he could incorporate local coppice materials into an innovative design process. The coppice hazel and willow was sourced from the Rycote Wood , near Thame. 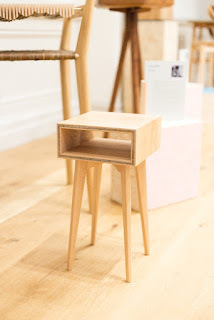 Charlie starts an internship at Matthew Burt Furniture in Wiltshire this summer. Our intern, Dan Harrison, has been awarded a prestigious Queen Elizabeth Scholarship (QEST) to train with us for a year. The funding will help cover his tutoring. Dan begins his training with us on 11 July and will work alongside James and me to develop in design and make skills and also learn about the marketing and managing of a craft-based business. Dan has just completed a foundation degree at Rycotewood Furniture Centre, Oxford City College. He has already spent two years as our part-time intern while he completed his degree. 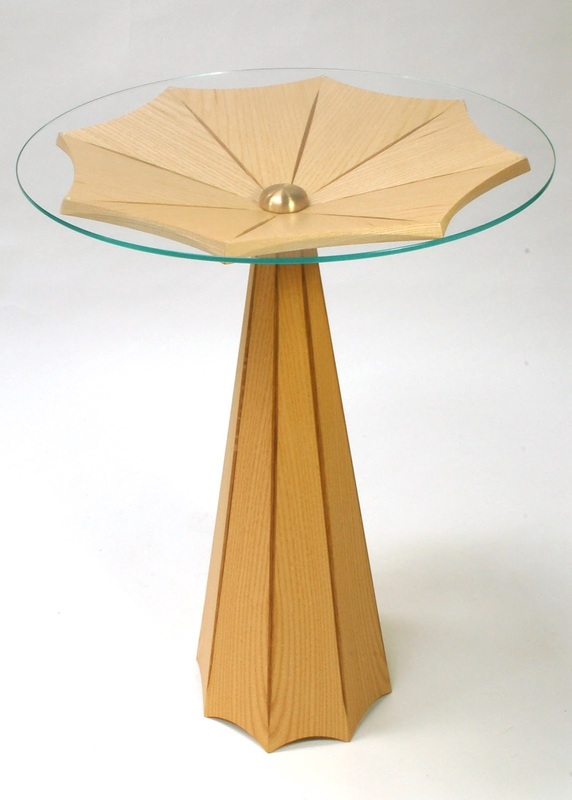 He previously studied Sustainable Design at Falmouth University and completed a 5-year apprenticeship in joinery. Dan was one of 20 scholars selected from over 200 applicants for the award. The award is given by the Royal Warranty Association and is under the patronage of HRH Queen Elizabeth II. 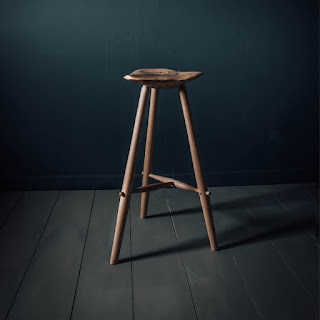 I recently installed a range of tables and stools made in oak from an Oxford University estate at the Blavatnik School of Government (opposite Oxford University Press in Walton Street, Oxford). The furniture occupies a central, informal meeting space known as “Window to the World”. I worked closely with the clients and the architects, Herzog & de Meuron, of the new school to develop a range of designs befitting of the social function of the space (people mustn't linger for too long in that particular space, which is intended for brief meetings). The designs also had to speak the same visual language of the interior. During my open days for Oxfordshire Artweeks I will have on view, at my workshop, a collection of ½ scale models, mock ups and photos illustrating the evolutionary stages of the design process. 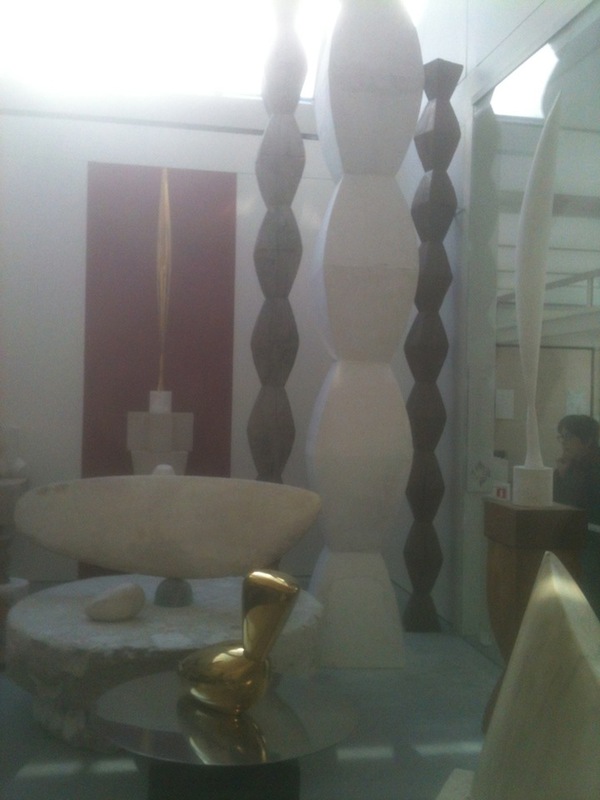 I fell in love with the work of the Romanian-born sculptor Constantin Brancusi who lived most of his life in Paris. Last week I returned from a trip to Paris and visited the Brancusi Museum, built next to Pompidou Centre, that houses much of his work. 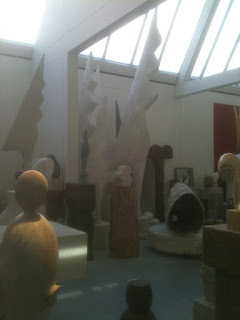 It is not so much a museum as a sacred space and my visit felt more like a pilgrimage than a tourist visit. 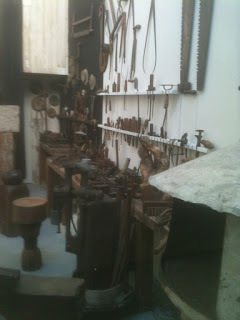 The museum recreates his original atelier where he worked for 50 years. The main difference is that the external walls are now glass. The contents of his studio have been faithfully arranged as Brancusi stipulated in his will when he left his work to the French state that his workshop be rebuilt as it was on the day he died. Seeing his sculptures alongside the tools of his trade creates a powerful environment. 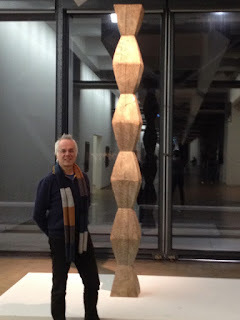 His sculptures are very simple yet there is a compelling, almost hypnotic quality to them. His fellow artists testify to his remarkable work. Barbara Hepworth described, on visiting his studio in 1932, “the miraculous feeling of eternity mixed with beloved stone and stone dust”. She goes on to describe the inspirational character of Brancusi and his workshop and reflects on her own feelings to what she beheld: “all this filled me with a sense of humility hitherto unknown to me”. I took many photographs of Brancusi’s work and his studio as it felt like a unique opportunity to capture a bit of the spirit of the place (although sadly the photographic quality may not be that good as the photographs were taken with an old iphone and through the glass walls). Interestingly, and to my surprise, I found the act of taking images made me more aware of the sublimity of his sculptures. Each image revealed a subtle aspect of his sculpture that was not so evident shielded behind a glass wall. Although I could only spend an hour there the experience has left a powerful imprint on my memory. 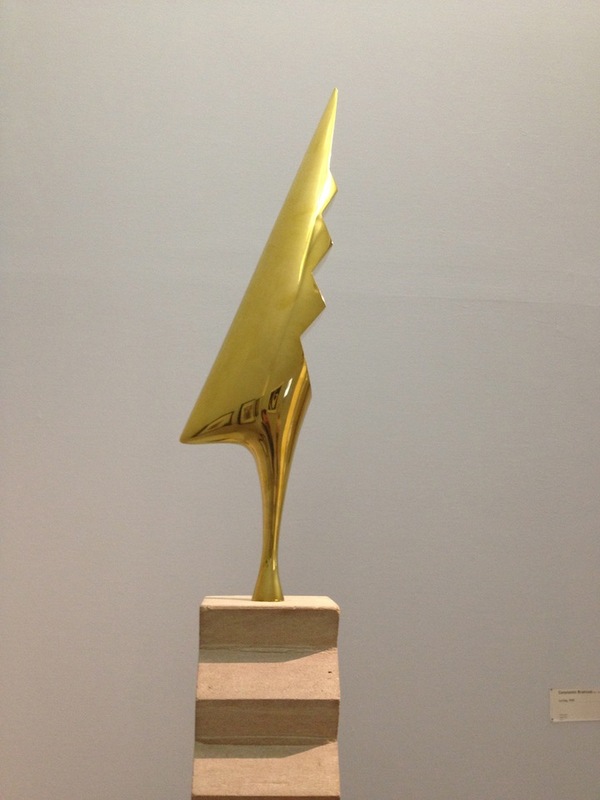 Constantin Brancusi is not a well-known artist in the UK yet his influence is immense. 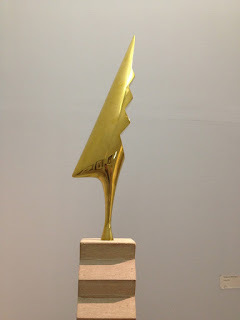 He is known as the “patriarch of modern sculpture”. He is perhaps best known for his philosophy of “Truth to Materials”. He sought to understand and express the intrinsic nature of the materials he used. His philosophy was adapted by the British Arts & Crafts movement and is a value that I have regarded as part of the craftsman’s ethos. 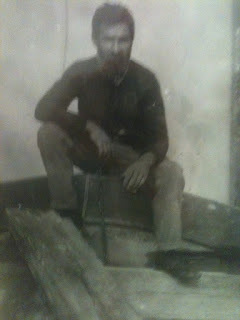 However, it was when I was researching and experimenting on Ideas in the Making that this approach began to expand into new dimensions. I’ll stop here as I plan to develop the theme in Ideas in the Making for my Oxfordshire Artweeks Open Studio exhibition (weekends 14/15 and 21/22 May). I will also be putting some examples of Ideas in the Making on my website soon. 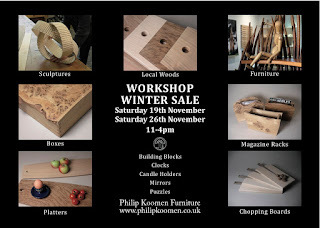 This weekend my son (and fellow furniture designer-maker) Jody Koomen and I will be at my workshop in Checkendon. You are most welcome to visit and have a look and/or chat. 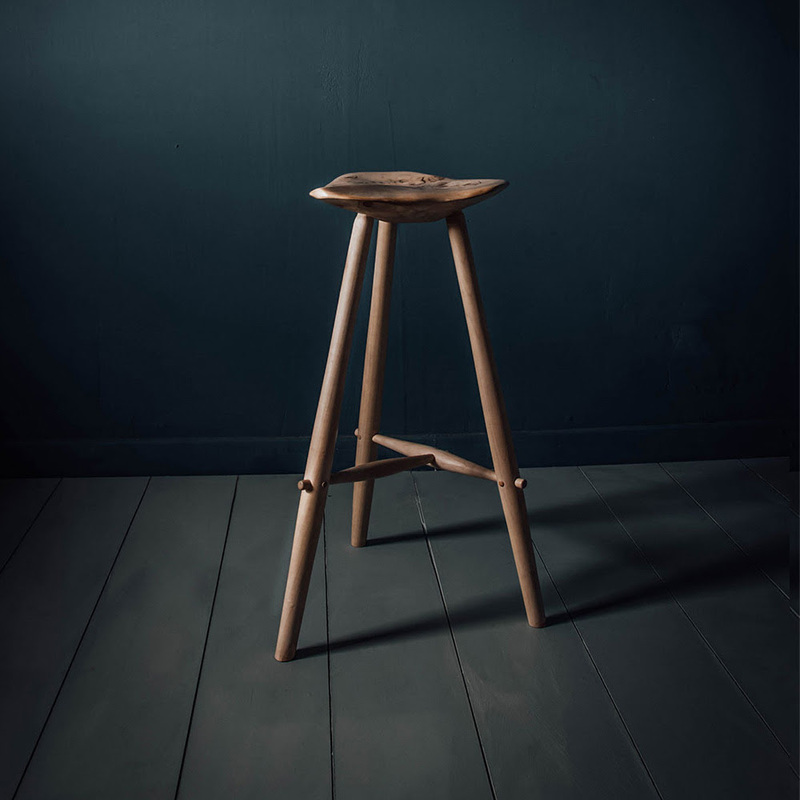 We'll be a hosting a sale of work including this beautiful stool by Jody and more of his work at my workshop-studio this Saturday and Sunday, 5 - 6 December between 11.00 - 16.00 daily.